No Fees. No Commissions. All Cash In Your Pocket And Fast Closing. Say goodbye to the stress of an unsellable property…anxiety about fees…agents who can’t make a deal. If you want to sell your Phoenix AZ house, and sell it NOW so your done with it… we’re ready to give you a fair all-cash offer and make a timeline according to your needs. We buy houses with cash anywhere in Phoenix and the Valley. Stop nightmare once and for all. No more late nights, no more crunching numbers, no more praying for a buyer (or a miracle). Let us buy your Phoenix property now, regardless of condition. Life has a pretty bad knack for throwing us a curveball when we’re least prepared for it…divorce, death of a loved one, pre-foreclosure notices, moving out of state on short notice — we’re describing some of life’s most extreme, emotional, and difficult challenges. There is NO REASON that you need to sit on an unwanted (and expensive) property through any of those scenarios. That’s what we’re here for — we’re ready to take the house off your hands so you can focus on what really matters: taking care of yourself and your family and moving on. Avoiding foreclosure? Facing divorce? Moving? Upside down in your mortgage? Liens? It doesn’t matter whether you live in the house yourself, you renting it out, it’s vacant, or not even habitable. We buy houses in Phoenix no matter the current condition of the property, and we’ll be there with you every step of the way to get this property off your hands. We help owners who have inherited an unwanted Arizona property, own a vacant house in the Phoenix area, are behind on payments, owe liens, downsized and can’t sell… even if the house needs repairs that you can’t pay for… and yes, even if the house is fire damaged or has bad rental tenants. Managing, paying for, and trying to sell an unwanted property is a stress that NOBODY needs. Stop spending energy and money racking your brain about what to do — we can help, and we can start as soon as you’re ready. We’ll pay cash for your house, any condition! 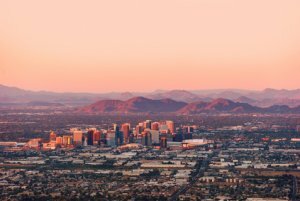 Do You Need To Sell Your House in Phoenix, AZ? Sell Your House Anywhere In The Valley Like Phoenix, Mesa, Tempe, and more Without Hassle.. Learn more now..
We can buy your Phoenix house. Even if an agent can’t sell your house, we can help. Agents can be helpful, but a lot of people overestimate their usefulness and underestimate the hassle that comes along with them. Note: Not all agents work full time. In fact, there are A LOT of scenarios where using an agent just doesn’t make sense, plain and simple. Contact us today at 602-388-8716 –we’ll know very quickly if we can help you, and unlike selling through an agent, you don’t have to wait to see if the buyer can get financing… we’re ready to buy your Phoenix property right now! A lot of people choose to sell through an agent because they think it will alleviate stress. The simple fact of the matter is that, many times, working with an agent ADDS and even CREATES unnecessary stress. Selling through an agent typically adds weeks to months to your timeline, and even the most affordable ones end up costing more than you expect when it’s all said and done. Many sellers are devastated when, after months of repairs, waiting, and hoping, they come out of the sale with little to no profit. We work differently at Huge Cash Offer. When you contact us and submit the short property information form below, we’ll give you a fair all-cash offer on your house within 24 hours. The best part? We close whenever YOU choose to close – it’s entirely up to you. You’re already up against a whole lot of things that are out of your hands — take that control back and create a timeline that works for you. We’re committed to making it work. Remember, it doesn’t matter what condition the house is in — we take the good, the bad, and the ugly. We’ll even take it if there are tenants in there that you can’t get rid of… don’t worry about it. To review on how we can help property owners just like you, in all kinds of situations. From divorce, foreclosure, death of a family member, burdensome rental property, and all kinds of other situations. We buy houses in the Valley… including Phoenix and surrounding areas and pay a fair cash price, fast. Sometimes, those who own property simply have lives that are too busy to take the time to do all of things that typically need to be done to prepare a house to sell on the market… if that describes you, just let us know about the property you’d like to be rid of and sell your house fast for cash.